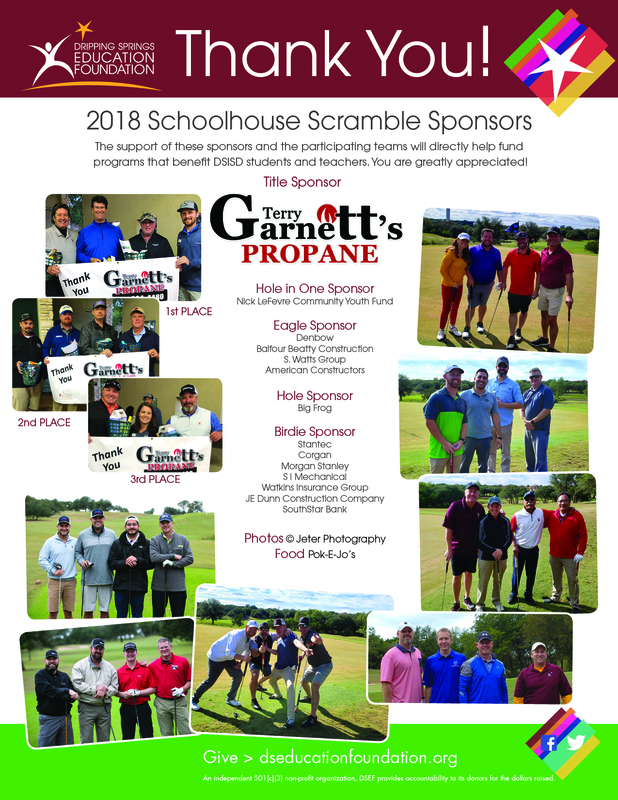 Dripping Springs Education Foundation is so grateful for all of you that helped make the 2018 Schoolhouse Scramble such a HUGE success! 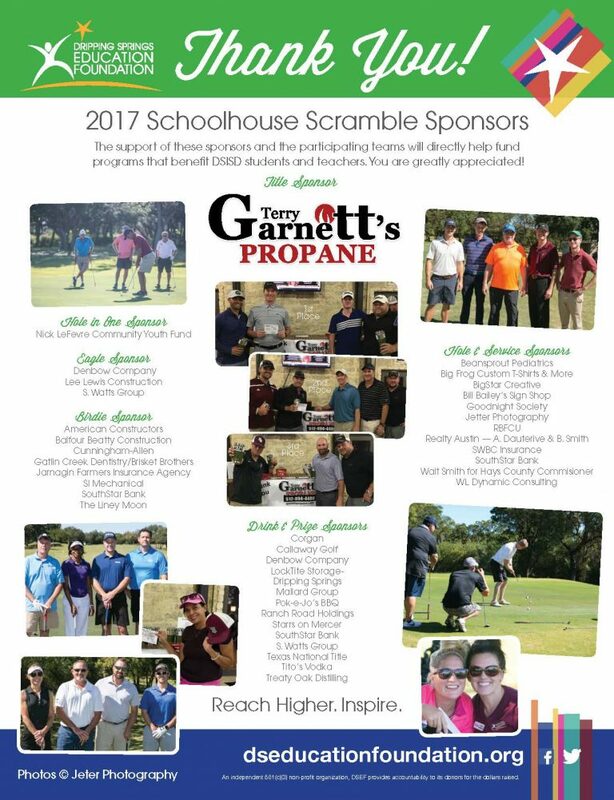 was a big success and absolutely fun as well! Don't miss out this year.